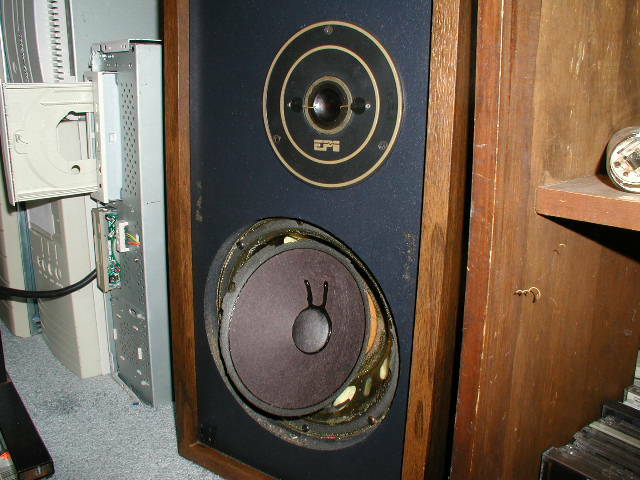 I found these EPI-100 speakers at the dump. My Cizek Model Ones need re-foaming so I replaced them with the EPIs. Everything worked fine until I cranked the volume and the bass suddenly disappeared! I took the grills off and discovered that not only had the foam ruptured but the spiders let go too! With a little online research I determined that this was pretty typical of the woofers that EPI used and they were not worth re-foaming. The Cizeks on the other hand still need repair so, what the hell, I duct taped the EPIs! I used a flexible cloth tape from Shuretape. 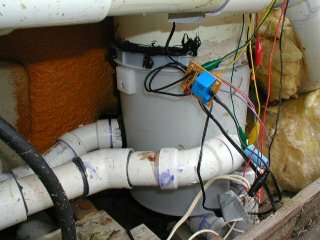 I think it is technically "gaffers tape" rather then true duct tape. I held the cone in and roughly centered while I placed strips of tape around the edge. I played music while doing this so I could correct any voice coil/magnet interference on the fly. It bloody worked! 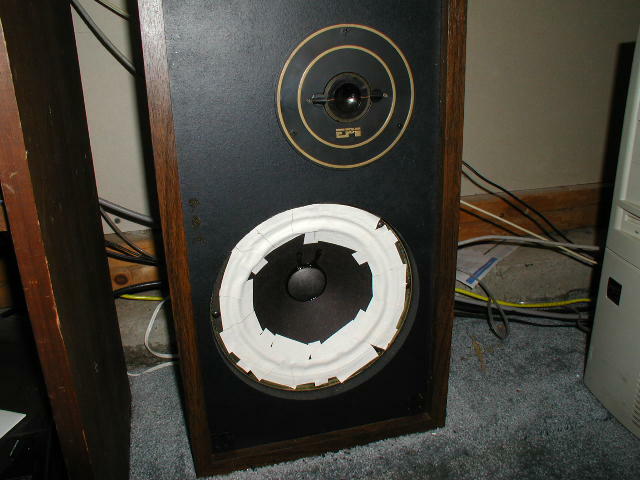 The speakers sound amazingly good with only a little cone bottoming at very high listening volumes.